• Charming Charms Party – 90 minutes, £14.00 per child, age 8+ – guests are given a silver-plated bracelet to which they attach a variety of beautiful charms from our selection before making a beaded item, such as a bracelet or necklace. • Workshop Party – 90 minutes, £16.00 per child, age 9+ – the children are taught basic jewellery-making skills including opening/closing jump rings and turned loops which they use to make (and keep!) at least 3 pieces of jewellery. At the end of every party, all guests choose one bead or charm to be added to a “Pandora style” bracelet for the birthday child. This is wrapped up in a pretty gift box which all the guests sign creating a wonderful keepsake of the day! If you would like to follow your party with food you are welcome to book the party room for an additional 45 minutes for just £20 – either bring your own food or we’ll happily recommend local caterers. Not holding your party at bead? We can also provide fabulous party bags if you are your organising your party elsewhere – and our gift certificates make the perfect birthday present! For further information please call Jill on 01423 313030 or email on info@bead-harrogate.co.uk. Quote “Harrogate Mumbler” when booking and receive a £10 gift voucher to spend in our boutique! 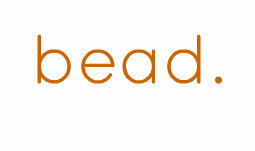 Follow the fun on facebook (www.facebook.com/beadharrogate) and twitter (@beadharrogate)!